Zrenj, a village located in the very heart of Istria, will surprise you with its rich architecture, perfect peace and quiet, and natural beauties that fall as far as you can see. But this is not the only thing to hide in this small picturesque Istrian village. Zrenj is also known as a place where the tradition of simple life and great gastronomic pleasures are cultivated, and more that there is the tavern Gatto Nero in Bosco. 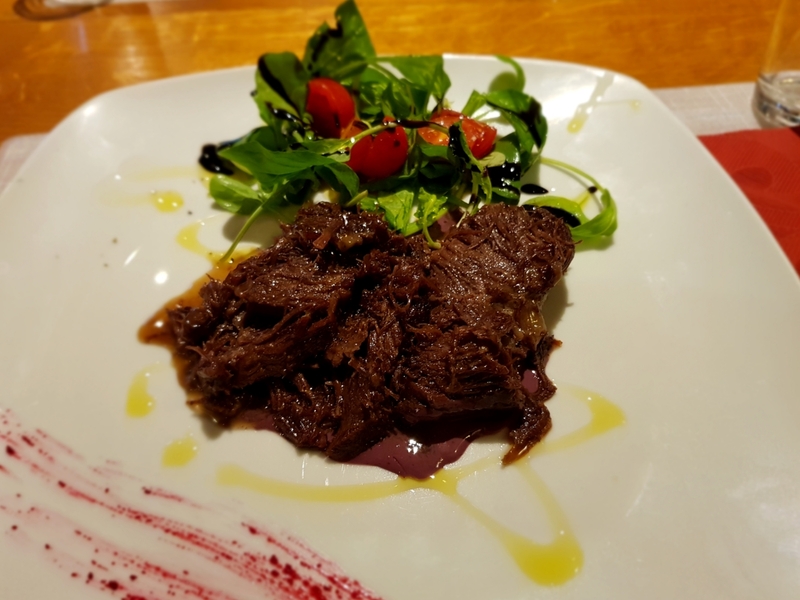 At Gatto Nero in Bosco you can enjoy the best Istrian specialties that our experienced and reputable chefs prepare in a truly unique way, following original recipes and using only the best natural and homemade foods. Let yourself be overwhelmed by the unsurpassed flavors of Istrian gastro sensations such as truffles and forest mushrooms, meat specialties of autochthonous boškarina beef, homemade dairy that we prepare ourselves, and spice plants from our own garden which gives each dish the characteristic and recognizable taste of Istria. Given that the bustling pace of life and numerous obligations do not leave too much time for such personal pleasures, you can visit the tavern Gatto Nero in Bosco every weekend, according to the new working hours. Every Friday, Saturday and Sunday, you expect a rich gastronomic offer and a pleasant ambience of a traditional Istrian tavern that will perfectly match your every bit. Visit us in Zrenja and discover new ways to enjoy the delicious specialties and delicacies of the Istrian region.